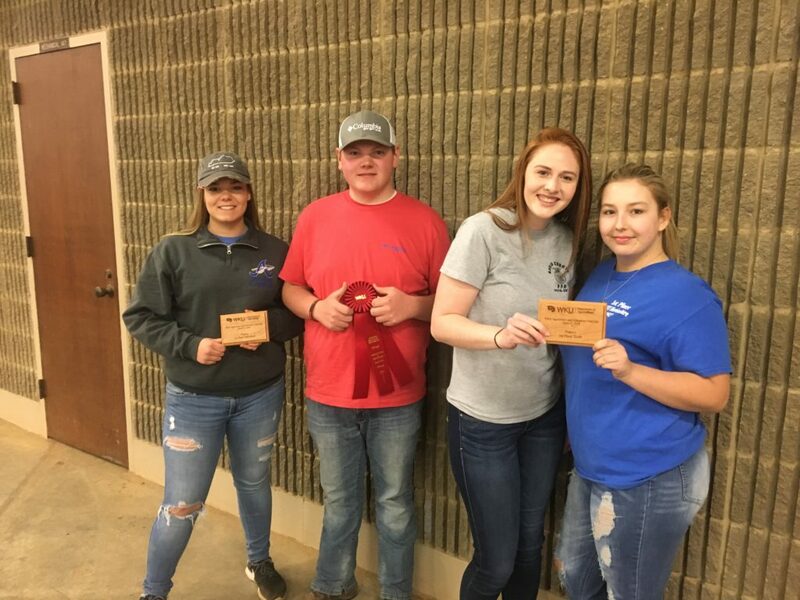 The Adair County High School FFA Chapter won several awards at the Western Kentucky University FFA Field Day. 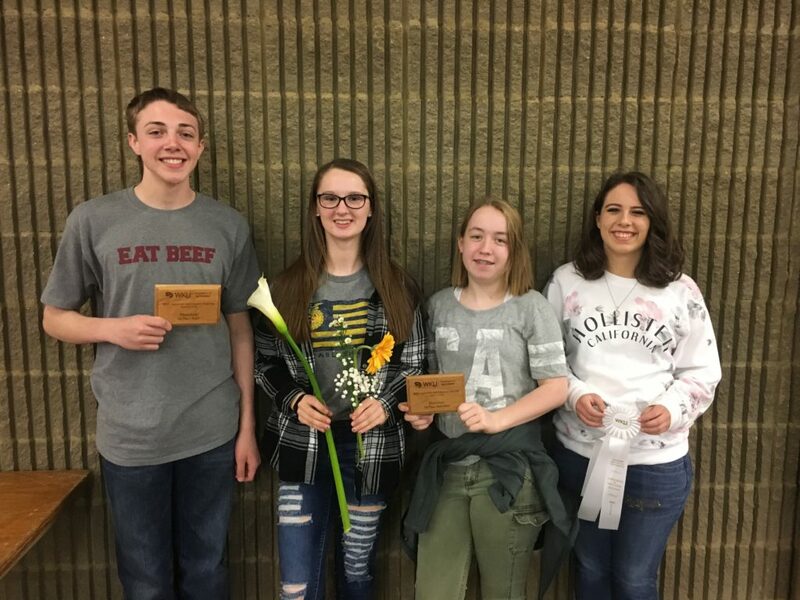 First place went to Ty Cheatham, Kiley Feese, Elizabeth Rexroat, and Maddie Harmon who were all members of the Floriculture Judging team. As individuals Elizabeth took home the first place award while Maddie placed third. (Photo below) Among the awards won by the Adair County High School FFA Chapter was a win in Nursery Judging. Team members were Ashley Hadley, Chandler Wisdom, Abby Dykes, and Dana Greer. As individuals Ashley and Chandler placed first and second respectively. 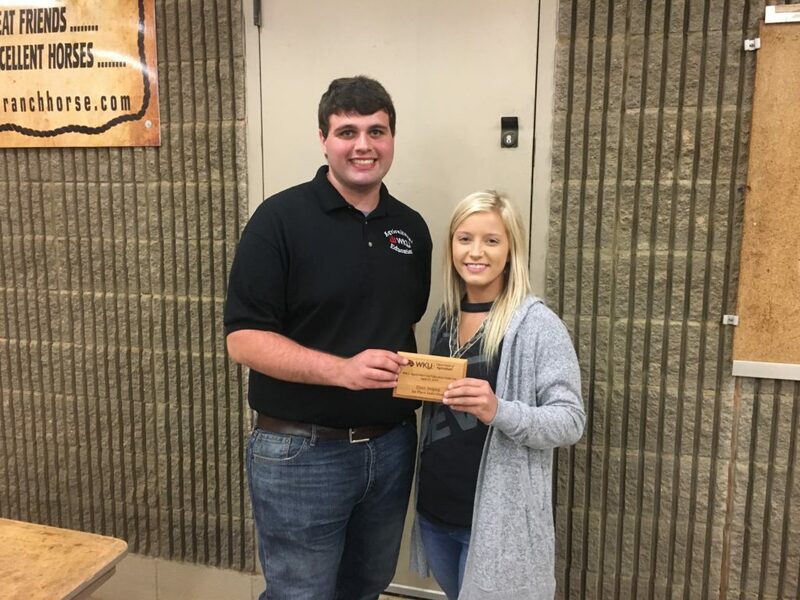 This is the 56th time a horticulture student from the Adair County chapter has won an individual first place award and the 38th team win over the last 28 years. (Below) Lexi Gist won first place at the Western Kentucky University FFA Field day in Dairy Judging. Over 20 schools from all over the region completed in the field day.